Vision are now the primary installers for the newest Soffit solution system on the market, designed to make cladding easier, quicker and more cost effective to use than traditional brick clad. Up till now, the accepted way of adding brick cladding to a soffit as part of your masonry support, involved either screwing bricks to the backboard or using large, heavy slabs with bricks bonded to them. The downside to these solutions was easy to see; bricks coming unstuck over time, crashing to the floor. Along with this are the potential hazards associated with manoeuvring heavy items and the strength of the fixings required to hold them in place. This new, unique solution, removes many of these hazards due to it being a lighter product overall with easier and more secure fitment. This means a greater number of modular brick-faced units can be completed resulting in better productivity and lower costs. Also, using Vision as your fixing specialist means more units fitted in less time, thereby increasing your productivity on core activity. 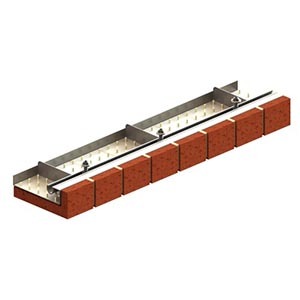 Having undergone some of the most demanding tests for Brick Slip products in the industry, this Brick Faced Soffit product is unique in its capability. "This market leading Soffit solution is around 70% lighter than traditional methods and can reduce fitting times by up to 90%." Imagine arriving on-site, contemplating the dozen or so lintels that need to be installed and facia clad with bricks, knowing that's hours of work and effort. But what's this? You arrive at work to see that indeed, there are the lintels you need to install, only they are already brick clad! 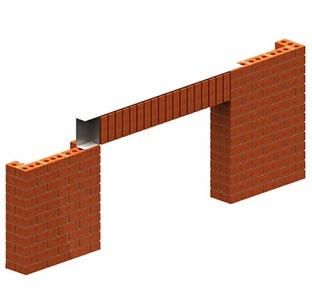 Add to this, the fact that these new lintels are lighter, easier to manoeuvre and are made with a much stronger resin bonded brick face and you're day just got a whole lot easier! Manufactured off-site and supplied as a prefabricated unit, these lintels require no work other than installation of the lintel itself. With our specialist fitters, the lintels can be installed faster without the need to use a bricklayer, saving you time and money. 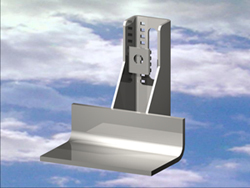 Our installers are trained specifically to fit any Brick Faced Soffit or Lintel product on the market. We can also supply ACS' Azure products and we are their preferred installations company. 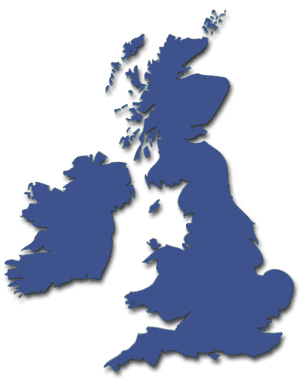 We also fit nationwide so no matter where you are, no matter what your need, we've pretty much got it covered.